One plus year into a new Administration. Deadlines extended. New policies announced. But, where is it all going? VTA knows the information that you need. So, whether you are an e-liquid or device manufacturer, vape shop owner, supplier, distributor, or importer, this conference is for you! 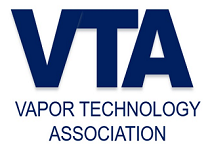 VTA’s 2-day conference will provide practical information on how our industry will survive & thrive on Day 1, then we will go to Capitol Hill on Day 2. We are looking forward to hosting another substantive and professional conference, and we are looking forward to taking even more people to Capitol Hill this year. Last year’s 2nd Annual Vape & the FDA 2 Conference was great success, attended by nearly 200 industry professionals representing 120 companies from 25 states and 3 countries. Our government affairs team will set up meetings with your Congressmen and Senators. We set up 100 meetings on Capitol Hill last year! All you have to do is register! Don’t miss out this year! 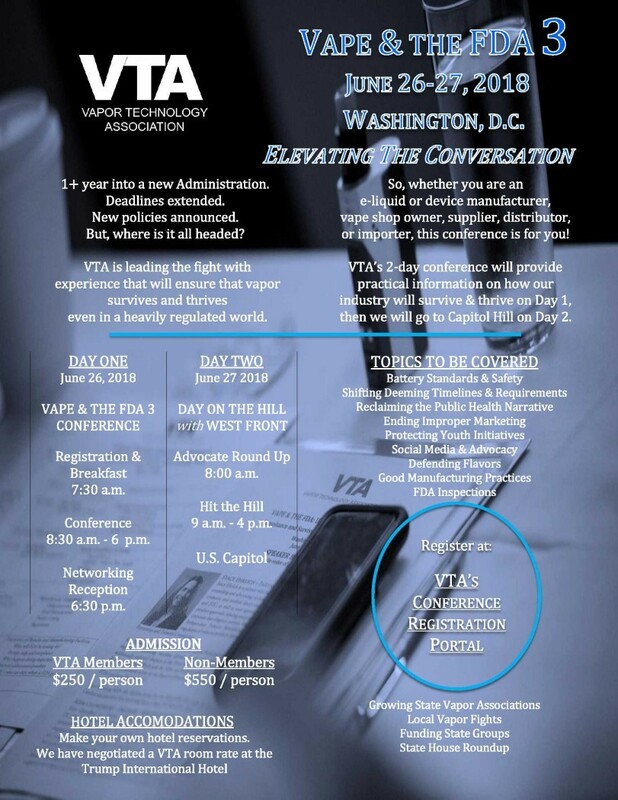 Register now by using VTA’s Conference Registration Portal where you can also access the hotel reservation information and the group room rate. You need to be part of this event! Please forward this invitation to anyone you think may be interested in attending!